The soundtrack to COPENHAGEN DREAMS features music for string quartet, clarinet, celeste, keyboards and electronics and was recorded with some of Jóhann’s favorite Icelandic musicians. The album is available on vinyl in a deluxe gatefold sleeve and as digital download on Jóhann’s own NTOV label, distributed by Cobraside. The album was also available as a limited edition CD release in a hand-made sleeve. 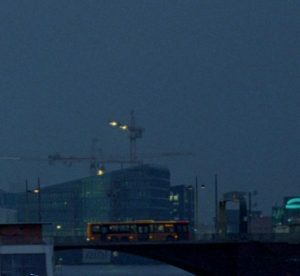 COPENHAGEN DREAMS is director Max Kestner’s documentary film portrait of Denmark’s capital. It’s a film about the physical surroundings that are part of shaping our lives. About the buildings we wake up in, the front doors we walk out of, the streets we traverse. It is also a film about how the way we live our lives affects our physical surroundings. About the places we dream of and the walls onto which we scratch the names of our loved ones, before it’s too late.